Ten-month-old Dominique is home recovering with a foster family in Chicago after a March 8 surgery to remove two of the four legs she was born with. 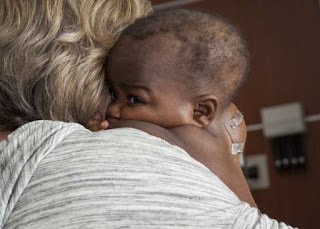 When she is fully recovered, she will return home to the Ivory Coast and be reunited with her family. Dominique was born with two spines and two extra legs protruding from the back of her neck, the result of being born with a parasitic twin - a twin who never fully developed, yet parts of that twin’s body fuses to the other. 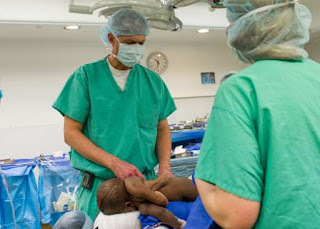 According to Dr. Robert Kellogg, one of the five surgeons who operated on Dominique, only a handful of cases where the parasitic twin was fused to the other babies’ spine have been recorded. 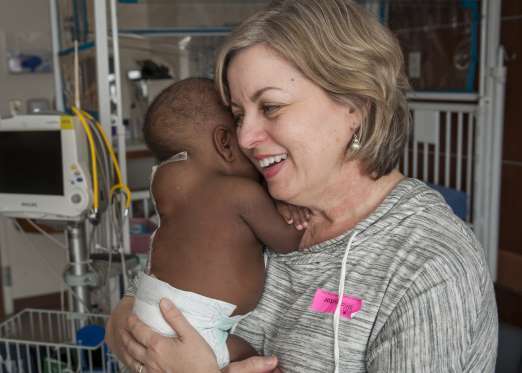 Because the spine was involved, the surgery was extra risky and it was the first surgery of its kind at Chicago’s Advocate Children’s Hospital. 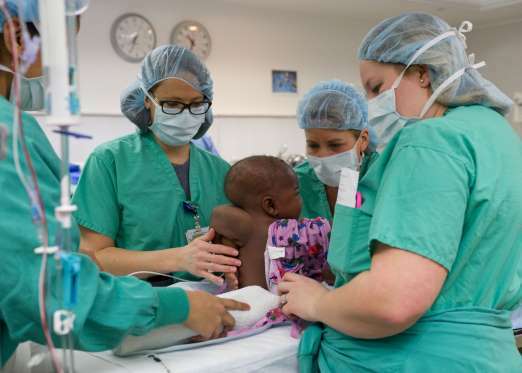 Another surgeon on the case Dr. John Ruge told the BBC the spinal involvement was the trickiest part: "There was a lot of challenges to her skeletal system... we could destabilize her spine and cause her impairment,” but Dominique is already sitting up and recovering beautifully, so that was not an issue. Dominique is expected to recover fully and live a completely normal and healthy life. See some photos from before and after the surgery below.